Can you believe this is #11? I am still enjoying this series so much and this is a good addition to the series. I will do my best to not spoil it for anyone since I know that several of you aren't up to this book yet. As we usually see in the series, Gin is up against a baddie who seems like he could get the best of her. And like the rest of the series I was sucked into the book and it didn't let go until I finished it. The pages flew by and in this book we end up with a new secondary character. I'm quite happy about that since I ended up liking him from close to the start. Don't want to give away more than that. As for the rest of the book, we do get a huge amount of information for the second story arc in the series. It is important and I was surprised we got so much. I think that arc is about to make it's way into being part of the main storyline. 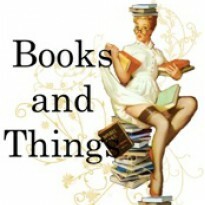 I give this book 4 stars. This is a series I think at times can be read out of order, but I do not suggest it. The storyline arcs throughout the series makes more sense when read in order and so do the characters. 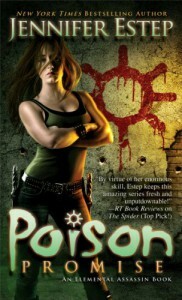 Poison Promise is a great addition to the series and it will make you want more without having to indulge in the dreaded cliffie. I recommend the SERIES to people who enjoy UF.